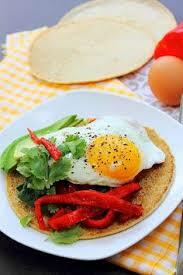 There are many versions of huevos rancheros. Some people use cheese, beans or grilled chiles. The most authentic version must include eggs and salsa, served with corn tortillas. 1. Pre-heat oven to 500 degrees. Coat the tortillas in oil and place on cookie sheet. Cook for 5-10 minutes until it achieves the desired crispness. 2. Heat the oil in a frying pan and cook each egg on one side until the whites are firm. Flip to cook the other side but remove while egg yolks are still runny. Place one egg on each tortilla.3. Heat salsa and pour about 1/4 cup over the top of each egg.Enjoy. This entry was posted in Under a Turquoise Sky and tagged Abingdon Fiction, Huevos Rancheros, inspirational romantic suspense, Lisa Carter Author, Native American, recipes, Southwest, Sweet Tea with A Slice of Murder, Under a Turquoise Sky by Lisa Carter Author. Bookmark the permalink.